Host nation Papua New Guinea went into their final group match at the FIFA U-20 Women’s World Cup eliminated after hefty 9-0 and 6-0 defeats against Brazil and Sweden respectively. The players knew that the match at the National Football Stadium in Port Moresby was to be their last in the tournament. All they wanted was a goal to celebrate. Having barely tested the opposition goalkeeper in the previous two outings, the formidable force that is Korea DPR stood in their way. But then it happened. Sixteen minutes into the match, speedy forward Nicollete Ageva somehow burst past a couple of defenders and, in one motion, lifted the ball past the onrushing goalkeeper into the back of the net. Cue pandemonium. The roar felt like it could have been heard across the capital. This was a football moment to savour. Ultimately Papua New Guinea lost the game 7-1, yet post-match they were ebullient. This was not about winning or collecting silverware, or kudos or prestige. This was simply the joy of achieving relative success and making a nation proud. As if that wasn’t enough, the tale of the goalscorer is in itself remarkable. Ageva is the only player in the squad born and bred on Bougainville, the once strife-torn island to the north of PNG’s main landmass. Ageva was swamped by team-mates when she scored, and she was equally popular with the crowd and well-wishers before finally managing to make her way up the tunnel. One journalist suggested post-match that Ageva was Bougainville’s “most famous person right now”. Barely 12 months ago Ageva didn’t even know the tournament existed, let alone was on the radar of the national team. Her life changed after a chance meeting with a national team scout. For 21 glorious minutes after scoring, Papua New Guinea maintained parity with mighty Korea DPR – champions of this tournament a decade ago. Eventually they fell behind for the second time eight minutes before the break. In the meantime, though, Korea DPR made two first-half substitutions, such was the impact of the goal. 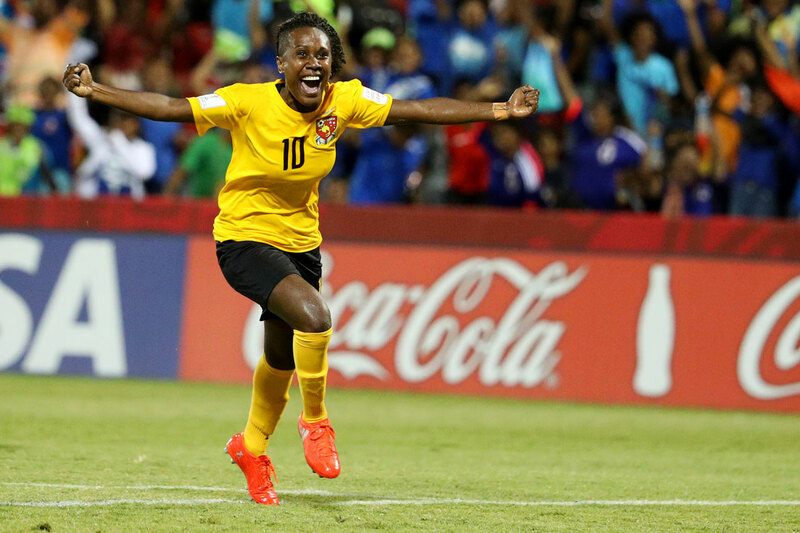 “That move showed they had a little bit of respect for us, and that they wanted to put a good result on the board,” said Papua New Guinea coach Lisa Cole. “We forced them to make moves they didn’t want to make. One emotion when we scored was a little bit of relief because I really wanted us to get a goal, and I really wanted to see that the effort that the players put in was deserving of a small victory. Getting a goal against someone like North Korea was remarkable. “Then it was also simply a case of overwhelming joy for the staff and players,” Cole continued.